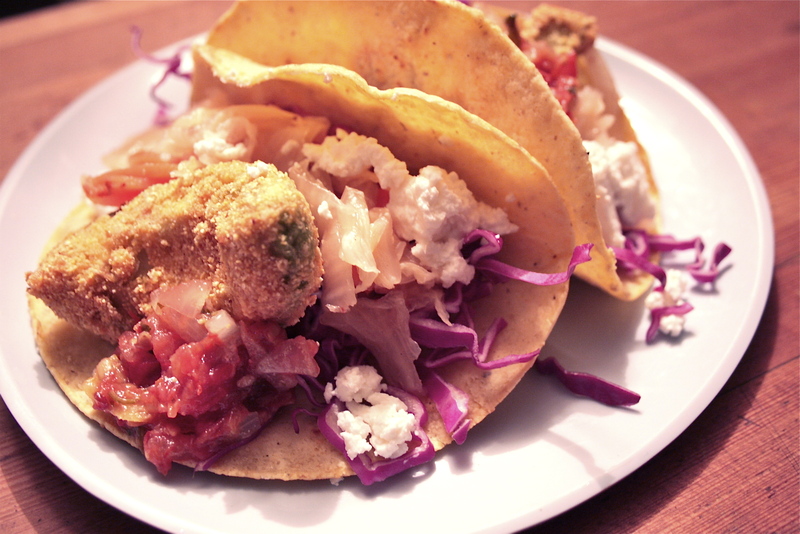 kimchi corn crusted avacado taco | eating with S.O.L.E. Then comes the avocado… quarter the avocados and prep them for deep frying. First a dredge in rice flour, then a dip in egg wash, and finally a good toss in a blend of cornmeal, sea salt, chickpea flour and cayenne. Now give the coated wedges a little fry in some light organic veggie oil, until golden brown, drip dry on a towel and season with sea salt. 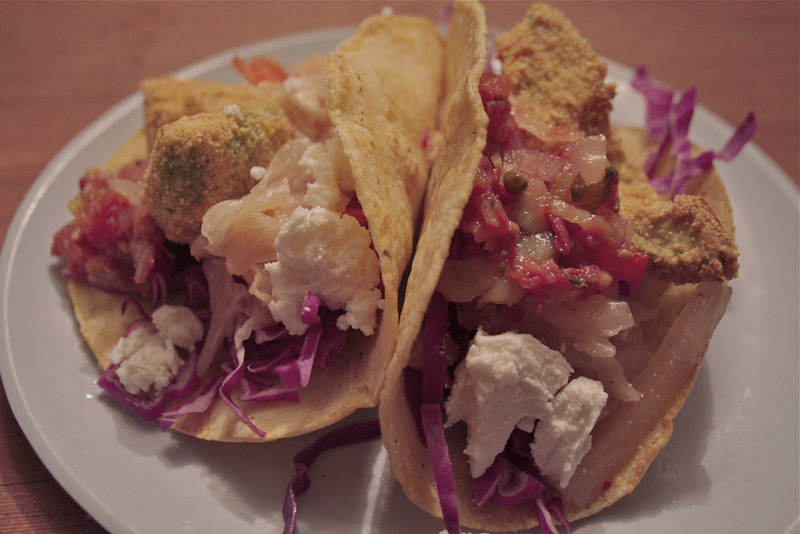 Now get ready to dress up your tacos; starting with a good bed of kimchi, adored with a golden fried avocado then some ribbons of red cabbage, some farm fresh cheese, and some really nice salsa. Seriously I might forever kimchi tacos from now on, the sour acidic kick is perfect, especially with a salty creamy avocado.